Who Saw The End Of The Delaware GOP Convention? It seems as though NDA has once again allowed his arrogance to get the better of him. 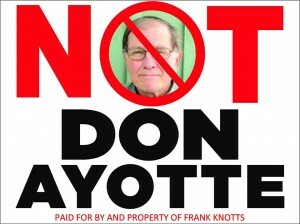 First let me allow Mr. Ayotte to misinform people in his own words. The following is a post at Delaware Politics in which Mr. Ayotte describes what happened. I will then relate what I witnessed at the convention, and what was related to me by others who also witnessed the incident. Two reporters, one of them the President and Managing Editor of the Midlantic Dispatch were expelled from the 2016 Delaware GOP State Convention without cause. “Congress shall make no law respecting an establishment of religion, or prohibiting the free exercise of freedom of speech, OR OF THE PRESS, or of the right of the people peaceably to assemble, and to petition the government for a redress of grievances.”The two reporters, Donald Ayotte and Staff Writer Wolfgang von Baumgart’s civil rights were clearly violated in this instance by the Delaware GOP for unknown reasons. Apparently, the Delaware GOP perceives themselves to be a law unto themselves. John Fluharty, the Executive Director of the Delaware State GOP, was asked on scene, by Donald Ayotte, the President and Managing Editor of the Midlantic Dispatch, if he was aware of the First Amendment of the US Constitution. Mr Fluharty replied that he was not aware of that. Mr. Ayotte replied that he should be very aware of it. Mr. Ayotte has earned a BA in English with a concentration in Journalism from the University of Delaware. A check of the Delaware GOP website revealed that the need for separate event-related media credentials was not posted. “This is not exactly the GOP’s smartest PR move.”, said von Baumgart as he left the building. It is hard to know where to start with this story. First of all, badges which you print on your home computer, are not really “press badges”. Second of all, the Delaware GOP is a private organization, and so does not fall under the 1st Amendment. The GOP didn’t tell these two they couldn’t report on the convention, they were simply told, if they wanted to do so, then they would have to register, and or pay like the real media, or other guest. In the post Mr. Ayotte, writing in the third person, admits to showing up halfway through the convention at 12:30, now they is some professional media for you. They evidently came in late, when there were lots of people milling around, and confusion of the convention. They parked themselves at the media table as if they belonged there. Obviously someone noticed they had not registered with the Convention Committee or obtained the Convention credentials. Let me add here, as I was entering the Convention, with my paid for credentials, I had the lanyard hanging from my belt loop, and was asked by one of the officers patrolling, to place it around my neck to make it more visible, which I did. So it is clear, both the GOP and the officers hired to enforce the rules, were taking things very seriously, and good for them. In the post NDA quotes the 1st Amendment, ““Congress shall make no law respecting an establishment of religion, or prohibiting the free exercise of freedom of speech,” well NDA should know that the Delaware GOP is not Congress, especially since he felt the need to brag in the post, “Mr. Ayotte has earned a BA in English with a concentration in Journalism from the University of Delaware.”, again in the third person. All of you U of D Alumni must be so proud. The fact that NDA and his trusty co-reporters Wolfgang were escorted out of the Convention, also explains why they misinformed their two readers about the vote for the endorsement of Insurance Commissioner at the Convention. This is what they rushed to post following their expulsion. Former Sussex County Clerk of the Peace, George Parrish has won the endorsement for Insurance Commissioner at the GOP at the State Convention in Dewey Beach by 68% over Jeff Craig. This mistake was pointed out to the other member of the cabal over at Delaware Politics, AKA The Midlantic, (What is a Midlantic? ), Dover City Councilman, and Republican Delegate to the Convention David Anderson, late yesterday afternoon, and at this time the post is still up with the false information that George Parish won the endorsement. 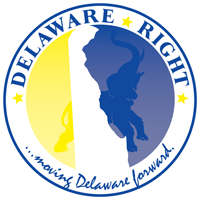 Neither candidates for Insurance Commissioner received the endorsement of the Delaware GOP. And still these characters want to play act like they are legitimate media. Well if they want to act like real media, maybe they should start by doing the things that real media does. Like obtaining the required credentials for an event, like not reporting on an event that lasted about four hours, but you were only there for an hour. I simply paid my money, got my guest credentials, and walked in and witnessed the event. I will relate my perspective, and welcome comments and criticisms. And I don’t feel the need to self inflate my worth or position by calling myself a reporter or press. Finally, before someone attempts to liken this to my having the police called on me at a monthly GOP meeting for not signing in, and my criticism of the action. This Convention has always been an event that requires guest to pay an admission. It is not open to the public, unlike the monthly meetings, which are advertised on their website as open to the public. It is also worth noting that Mr. Ayotte and Von Baumgart, are both officers within the IPOD. The fact that they come to an opposing political party convention posing as press, without paying, and then claim their “civel” rights were violated, should invalidate anything they say in the future. As if we needed a reason. And finally, I want to thank the person who sent me this photo of the two being escorted out of the Convention. 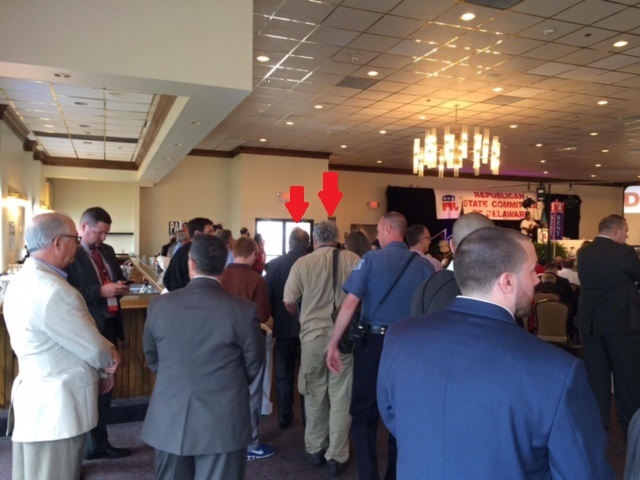 16 Comments on "Who Saw The End Of The Delaware GOP Convention?" Wolfgang von BOMBAST! NDA – what a fool. What’s he going to do when IPOD gets tired of him? Join the Monster Raving Loony Party? Well, the school board isn’t Congress, either, but in many cases courts have ruled that schools cannot be used for religious purposes. …I don’t feel the need to self inflate my worth or position by calling myself a reporter or press. You would actually be lowering you worth by claiming to be a reporter. Polls show their trustworthyness to be at the bottom of the barrel, similar to politicians. You should have signed-in. That was the rule of the day. What is so difficult about putting your name on a piece of paper? I wouldn’t have called the cops over such a trivial matter, but I wouldn’t have refused to sign-in, either. ADA and Wolfie can not pose as credible anything. To claim privaledges that the press are afforded whilst being elected officials of the Ipod, and side stepping the required payment for entrance is truly richer than any of them can afford. The credibility of the news agency that they founded, created, funded, and hired themselves to report for is bigger conflict than the party officer conflict. Truly a sadder day does not exist for the journalists in Sussex than to have these two claim brotherhood in that guild. Correct Rick, and the school boards did not create a law preventing the use of public facilities for religious purposes. The courts ruled on this based on the Constitution. Not even close to the same thing. Well first of all, I did sign in with an X, also the reason they gave for requiring me to sign in was false, there was no insurance requirement for the CHEER Center, and finally, they were not requiring everyone to sign in. They had chosen to play this game in an attempt to have me removed. At the Convention yesterday, these two “cub’ reporters were being treated exactly the same as everyone else. It really didn’t even have anything to do with them pretending to be press, it was the fact that they chose not to follow the requirements that everyone else had. And by the way, since posting here, Delaware Politics has updated the mistake in reporting the results of the IC vote. What does that mean? Despite? These guys really do have a problem understanding “REQUIREMENTS” don’t they? But Congress made no law creating a public use for religious purposes, including the school itself. You seem to forget the “free exercise thereof” portion of Amendment I.
You’re rationalizing. You should have signed-in. What makes you so special? I prayed for you today that God would help you salvage your severely damaged soul. You seem to have no sense of reality. You attack many people that you feel are better than yourself. May God keep you safe and may you prosper and be in health, even as your soul prospers. Very little of what you have written here is truthful. When you hate, you are the only one being destroyed. God Bless you Frank Knotts. You should post again later this pm after your lubricated. I’ll bet that the real DA comes back with a vengeance. It’s like when Christine O’Donnell prayed for Dan Gaffney after he called her out for lying. Don, I thank you for your prayers. However, since what I have posted here is what you, yourself wrote, maybe you would like to tell us which part is a lie? I am sure all would be interested. Correct me if I am wrong but what I was told is that Chairman Charlie Copeland stated this was a straw pole not candidate endorsement because the state GOP would not help any candidates until after the primary. Is this correct? And if it is what is all the fuss about? Is a lawsuit even winnable? Technically the GOP is group.. a party.. I dont think the 1st protects you from being kicked out of a meeting about a party. Believe me if this is possible then I have a few lawsuits I need to file against the Libertarian party……….but still dont think this is a violation of the 1st.. And I am mildly disturbed that a cop (lafferty) does not know and understand this..
Unbelievable that someone this ignorant thinks they are qualified to be governor. Sources that were at the GOP state convention in Dewey Beach confirmed that there was no endorsements from the party for any candidate. Chairman Charlie Copeland stated before it began it was a straw pole and the party would not support any candidate until after the primary. Straw pole was nothing more than for entertainment purposes. I think your wanna be candidate has turned into a sure bet on the ballot. Heads up, a woman and a African American sure will appeal to the New Castle crowd. Henry, as someone who was actually there, and not relying on so called sources, you are confused about the difference between an endorsement, and a nomination. Chairman Copeland explained, what was taking place was an endorsement of the convention, and until after the primary which would decide the nominee, no party resources would be available to either candidate. Ayotte wrote that John Fluharty is Executive Director of the Delaware GOP. Nope. He announced last Sept that he was resigning by the end of the year. But he is managing the state convention. Don Ayotte and the Mid Atlantic Post Gazette Tribune have NEVER let facts get in the way of their brand of ‘journalism’, and they never will because they are too busy ‘being’ the news instead of reporting it. The only consistency they show is the ability to get it wrong.